A brilliant purple with remarkable blue undertones and a granulating texture. Try mixing this bold color with Prussian Green for surprisingly soft blue hues. At full strength, this violet is dark enough for deep twilight shadows. Mix with water and a range of tones are revealed. 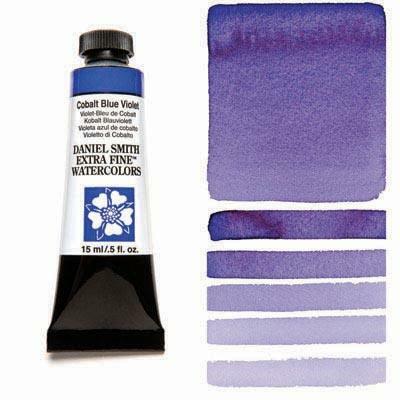 A graceful addition to the watercolorists’ palette, this is the perfect purple for dynamic floral paintings.